BROWSE OUR AVAILABLE LIVE CLASSES TODAY! To view LIVE CE courses, please visit our Calendar below for information. To view Education Calendar events only, click on the drop arrow next to “Full Calendar” and select “Education”. For further assistance or questions, please contact HIR at 808-935-0827. NOTICE: Prior to registering for any course, you should review your CE Status online: https://pvl.ehawaii.gov/mypvl. §16-99-95. A licensee shall not take a continuing education course for which the licensee has already received a certificate within two consecutive biennia. Identification: A valid photo ID is required at time of check-in & must be presented to CE Monitor. Terms of Attendance: Attendance is required. You must be present for the entire course to be eligible for CE credits. Returned Check Policy: A $25.00 service fee will be charged for all returned checks. Cancellation & Refund: The deadline for refunds for any enrollee is seven (7) days prior to the scheduled course date. There will be a $10.00 fee for each class cancellation/transfer. Requests for transfers & refunds must be submitted in writing to admin@hawaiiislandrealtors.org. If your schedule doesn’t allow for you to take classes in person, you can take CE Courses online anytime, from anywhere. Sign up today through an exclusive partnership between HIS, HIR, and Abe Lee Seminars! Hawai’i Island REALTORS® has partnered with The CE Shop, the leader in online real estate education, to provide you with the highest quality Pre-Licensing and Continuing Education courses. These are state-approved, self-paced courses that you can take in the comfort of your own home or anywhere you have internet access. 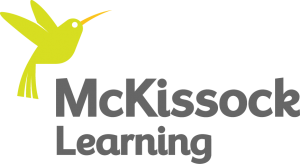 McKissock is committed to providing the best education to licensed professionals who strive to be among the best in their field. 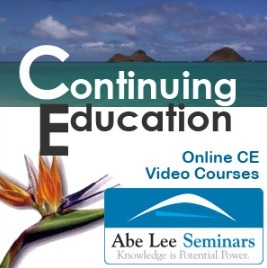 Thinking about online Continuing Education in Hawai‘i Real Estate? Get help from ProSchools! Choose from 22 items! Thinking about obtaining your Broker’s License? Click here for ProSchools Hawai‘i Real Estate Broker Program!